We've been hopping from one coffee shop to another since my son came from China last December. We both love coffees and we both love to try new things and on one of our cafe visits, we saw some nice wall decors and one thing that caught our attention is the open wooden shelves. We've thought that that would be a nice idea for our lanai and our pantry area, as well, so we immediately started with our weekend project. 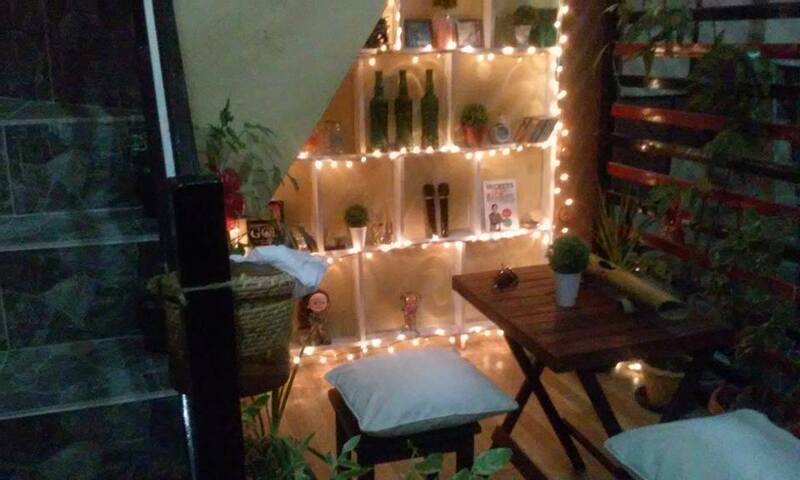 The above photo is the final outcome of the project, you will notice that we have incorporated some string lights for an added drama and effect. As for the decors, we did not spend much on this as we just gathered everything that we have around the house. We have lots of cute little decors sitting inside the cabinets so we just made of these rather than purchasing new ones. 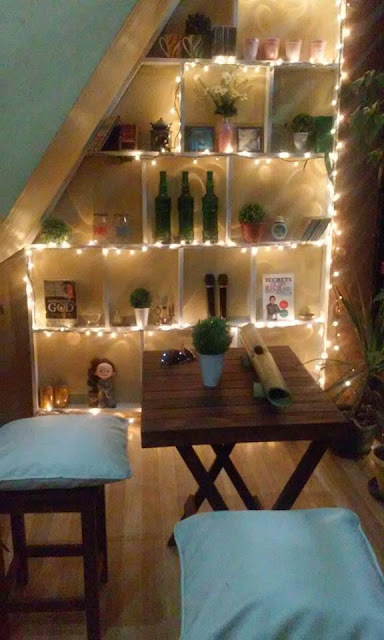 My son and daughter took turns in completing all the decors on the shelves and it was also a good bonding for the family.